How do I use Blockchain for Business ? Home150+ Digital Agency ServicesBusiness StrategyHow do I use Blockchain for Business ? So how do I use blockchain for business ? Like all new technologies we’ve written about in the past decade, the balancing act of jumping in and getting value for business before a technology is saturated is always a valuable question. Basically – can your business benefit from X ? (where X is SEO, Social Media, SEM, Mobile Apps etc etc). First – never get in on hype alone, get in because it makes economic sense. Getting in on the buzzword alone and it working out, you may as well buy a lotto ticket; a lot less of an investment for a relative chance of return. Also unlike a lot of these other Xs, Blockchain for business has a high barrier to entry. So can you use this for business?… Simple case is transferring money internationally and wanting to save on the currency exchange rates / fees – play it safe – start with a trial and figure out if it is worth it; expose the risks. High chance (excluding your work to setup the transfer) you’ll save using BitCoin as long as the value doesn’t tank during the transfer window. I wouldn’t call trading Bitcoin a business strategy any more than share trading does – it can form part of your investment portfolio. Same goes for any IM that you’re pitched with Blockchain or AI (Artificial Intelligence) for that matter; often these terms are thrown about for their hype value without detailed or serious application. What about any real / direct applications of the technology into your business? We’ll if you’re developing any core software technologies, and someone is offering you actual Blockchain (not just a concept like a distributed database that already exists independent of blockchain) or actual AI – you are buying in a very early stage. In fact unless you have millions to risk on the project, you are forming part of the proof of concept and specific applications can be easily over-hyped and over-invested without significant benefit over more traditional technologies. If you are excited by the idea, just remember “buy-beware”. If you are unsure and want a second opinion, contact the team and we can vet your application from a computer science and commercialisation risk analysis perspective. 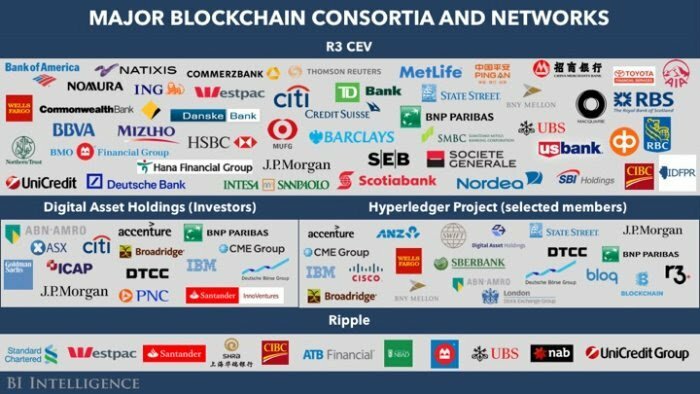 So which businesses will use blockchain then? There are lots of new applications blockchain for business – it will be applied throughout technology systems, public and private that we’ll benefit from in the future. Right now though there is the proposition of trust that Blockchain for businesses is establishing in the marketplace, especially as it is a far more open data structure that you see across private networks. My guess is it will be large enterprise and corporate entities like banks, trading platforms, governments and industries that will invest and develop the technology more so than small to medium enterprise or even large corporate businesses. You may see plays from IPOs and listed companies using Blockchain (and AI) as a positive story to improve share price and forecasts, again i’m sceptical until you have independent computer scientists, not marketers backing the applications, or like any good business model inertial market trials are showing strong returns. While How do I use Blockchain for Business ? forms one aspect of your digital ecosystem nothing online sits in a silo. &Mine's in-house team now delivers 159 services; Avoid costly mistakes and #WIN online. Read our expert articles, or lets talk - and you’ll get honest and direct answers right away.